Turkish Cypriot policeman was shot in Morphou while was in the car. The perpetrators seemed to be carrying hunting guns. The victim was transferred to the General Hospital of Nicosia without any serious injuries. 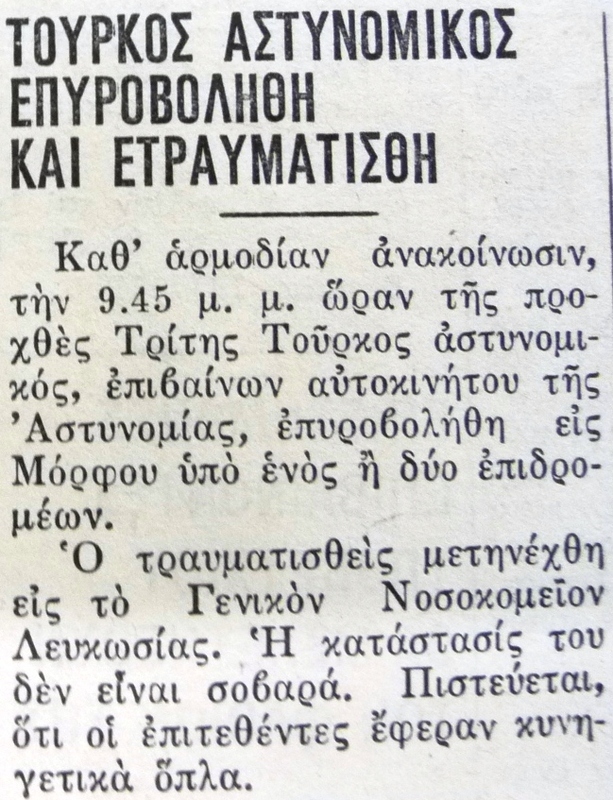 D.K., “Turkish Cypriot policeman was shot and wounded,” Cyprus Critical History Archive: Reconsidering the culture of violence in Cyprus, 1955-64, accessed April 25, 2019, http://ccha-ahdr.info/items/show/155.